Home / STORE / Snowmen / Patchwork Snowman. 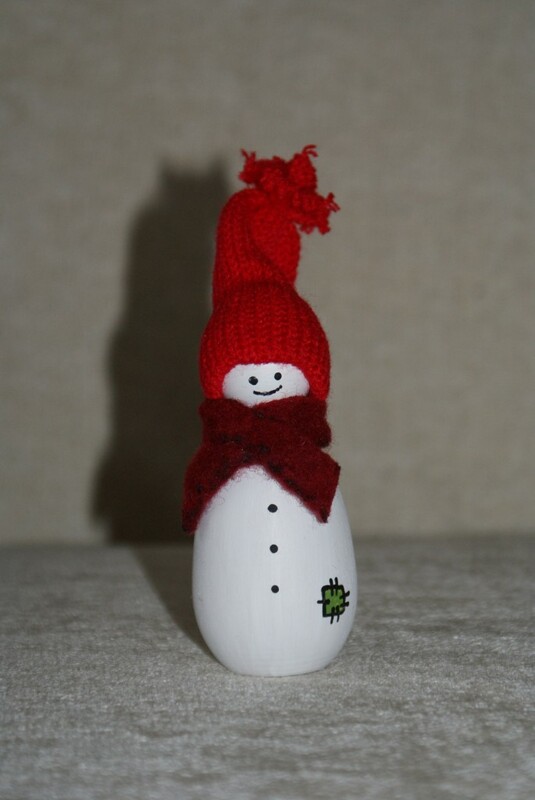 His white wooden body has black painted buttons and a painted patch. He wears a felt scarf and a red knitted hat to keep warm. He stands appox 8cm high.